Yet another Tiger dance performance that is sure to please his fans. 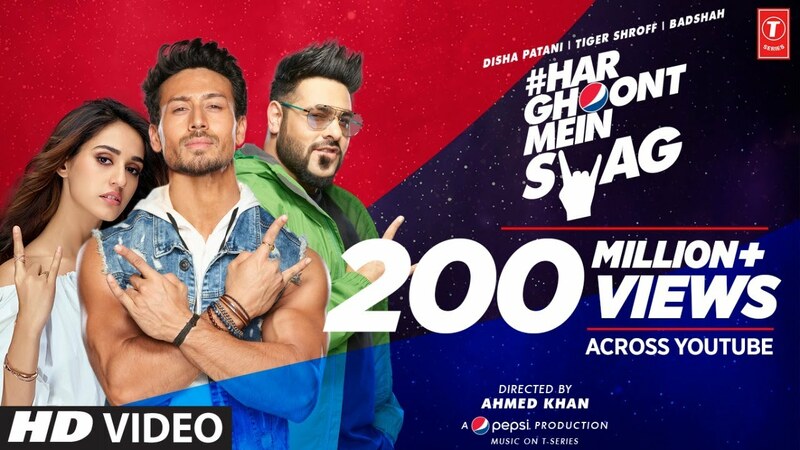 Pepsi, in association with T-Series, has launched a new song titled Har Ghoont Mein Swag, which has been created by Badshah. The music video of this new track stars Tiger Shroff and Disha Patani, along with Badshah himself. This video, which has been directed by Ahmed Khan, arrived on YouTube on April 6, and has already managed to cross the 13 million mark in views. The song itself isn’t what one would call catchy. It’s your typical Badshah number with a standard hook that’s punctuated by standard Badshah rap portions. One of the verses goes, “Don’t hate on me bro, main naturally cool. Tujh mein hai class, to main hoon tera school. Rule na todein, hum karte hain band though. Shuru na karein par, karte hain end though.” Along with having written the lyrics for this one, Badshah has also sung and composed the song. The video is definitely the main reason behind the quick popularity of this song. Firstly, anything that has Tiger Shroff dancing in it, is sure to get fans hugely excited. Secondly, the video also stars his girlfriend, Disha Patani. This clip starts with Disha and her friends being rejected entry into a party. Tiger Shroff, who sees this, tells them there’s a better party which they can attend, and instructs Badshah to start it. The Pepsi Anthem ends with an encore dance performance from Disha and Tiger. You can watch the entire video in the space above. Previous articleHow To Speak To A Friend Who Might Be Depressed? Next articleThe Girl Who Galloped To Her Exam Hall!